Sugiyan is a very popular snack in Kerala. Whenever we visit Kerala, while buying tea or coffee from the roadside stalls, this used to be a great accompaniment. There are variations to making this dish by changing the filling or the outer coating. I have tried using both green gram dal and Channa dal, and my personal favourite is the Channa dal filling. It is protein packed and very nutritious. Hope you enjoy this recipe. 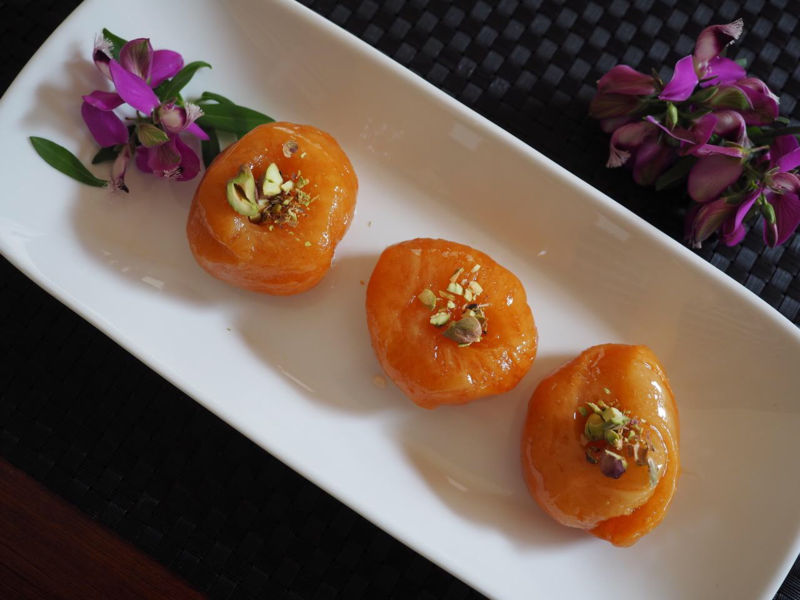 Badusha is a very popular Indian sweet which is very tasty and delicious. Usually it is made during festive seasons especially during Diwali. For the upcoming Diwali festival, I highly recommend you try this out and win hearts. It is a deep fried dumpling which is sugar coated. It is simple and easy to make. You will get the perfect Badusha if certain key points in the video are followed. Trust me even if you try for the first time, this will be a winner. This recipe will give you perfect layered and also soft and juicy Badushaas which will be hard to stop with just one. Also don’t forget to subscribe to my Youtube channel for more such videos updates every week with new ones. 1. Add lemon juice to sugar syrup to avoid sugar crystallisation. 2. Add cold water to the flour. 4. While deep frying, make sure oil is only at low to medium heat. Not medium or high. This will allow even cooking.